5/10/2012: Max's reflects on the events that brought him from the remains of his life in New York to his lowest point yet: caught up in circumstances far beyond his control, out of his depth and on the edge in the darkest heart of Sao Paulo, Brazil. 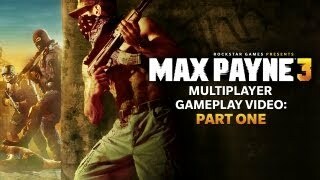 5/4/2012: Multiplayer Gameplay - Part Two focuses on Gang Wars, which uses events from the single-player game as starting points for multiplayer matches. 4/26/2012: This hard-hitting, reliable handgun - a staple since Max's NYPD days - features machine-gun like firing rates plus the ability to dual-wield. 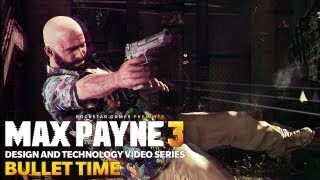 4/12/2012: This Design and Technology Series video details Bullet Time's evolution for Max Payne 3, its impact on gunplay, shootdodging and player-controlled final-kill cams. 4/6/2012: These close-quarters specialists are just as great to make a noisy entrance as they are at dropping bad guys with their ferocious heavy rounds. 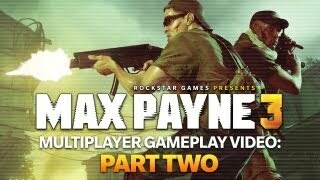 3/28/2012: The first video in a two-part series unveiling Max Payne 3 multiplayer. 3/26/2012: You can dual-wield the lighter SMG models such as the M10 and the Micro 9mm to let these slug slingers take out opponents in double-time. Prefer a little more kick in your SMG? Then pick up the heavier SAF .40 with two hands and rip through the armor of your foes. 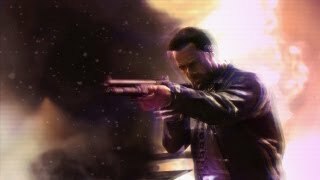 3/15/2012: Max Payne 3's innovations that move the game seamlessly from cutscene to gunplay and from one chapter to the next. 2/16/2012: This trailer reveals the web of intrigue that builds around Max, beginning with the kidnapping of Rodrigo Branco's beautiful young wife, Fabiana, while under Max's protection. 2/2/2012: The 608 Bull revolver is a large frame handgun packing eight rounds of staggering firepower that can be shot very accurately over short distances. 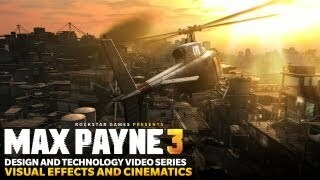 11/18/2011: A first look at the targeting mechanics, movement and animation, enemy intelligence and other technical design innovations going into building Max Payne 3.